UNESCO Parzor is passionately involved in the revival and promotion of the tradional and exquisite craft of Parsi textiles and embroidery. Based on authentic Parsi designs, motifs and colors, Parzor has created beautiful modern products which you can now own. In fact, these unique Parsi designed products will be available at Baaya Design Store in Mumbai, as part of a week long celebration of womanhood in the month of March, around Women’s Day. Products such as Parsi stoles, purses, wallets, wall hangings, cards. gift envelopes and even mobile phone covers will be available for you to buy. All proceeds of the sales go toward further research and preservation work by Parzor. So do visit and support this endeavor. 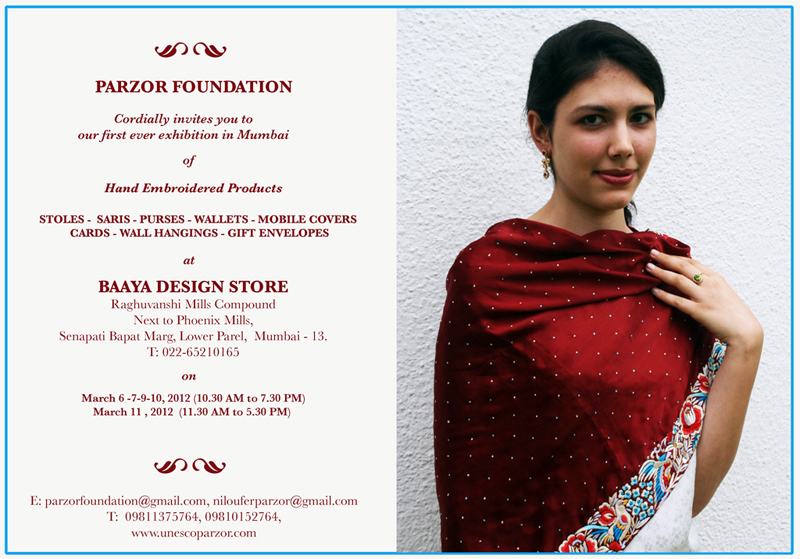 Hi Dinaz, we assume you mean Parsi border sarees… but we do not sell them, however please visit http://www.unescoparzor.com/ – they may be able to help you or guide you to the right place to buy.